Legal videography can play a powerful role in your case preparation. By syncing video to the legal transcript, case organization is easier than ever before. Here are some of the benefits of working with a legal videographer in Palo Alto when you are preparing your case. Legal videography takes depositions to the next level, making them incredibly easy to reference and review. Professional videographers are skilled in syncing the video to the deposition transcripts, so that every clip is ready to use whenever you need it. Use the videos to pull up segments of testimony and review critical information, or simply watch the videos while you are reading the transcripts, so you can visually see each witness’ behavior and tone when providing his or her answers. You can easily edit clips to present at trial, or you can use them in the discovery process to make sharing information easier. With so many uses for legal videography, many attorneys prefer to conduct depositions with a videographer on hand. Legal videography plays an important role in presenting evidence in court, particularly from deposition testimony. 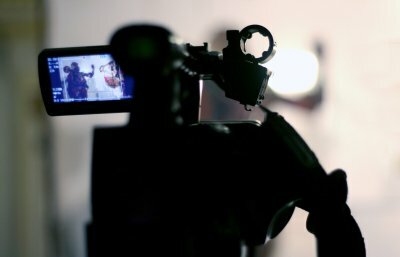 If you are considering using legal videography in the Bay Area as part of your case preparation, here are the answers to some of the questions you are likely to have. Legal videography is a specialized form of video recording. It is performed by experts with special training in creating videos for the legal industry. Legal videographers often work alongside court reporters at depositions to create a video record of the event that includes sharp visuals and audio. Legal videographers set up realtime transcript feeds, convert their recordings into the formats required by the attorneys, and, like court reporters, follow the instructions of the attorneys during depositions regarding when to start and stop recording. Legal videography can be used for in-person depositions and can also be part of video conference depositions. What are the benefits of legal videography? The biggest benefit to attorneys of legal videography is that it records absolute proof of a witness’s testimony during a deposition that can then be used to impeach that witness if he or she changes his or her testimony at trial. Although reading back from the transcript of the deposition can also impeach the witness, having a video of the original deposition testimony can be much more impactful. In some cases, video depositions are admitted as evidence when a witness can’t testify in court. Deposition videos are helpful to review during preparation of a case, particularly for members of the legal team who were not present during the deposition. Lastly, many attorneys find that videoing depositions makes them go faster, as people tend to be less obstructive if they know they are on camera. Deposition synchronization is the process of syncing the transcript created by the court reporter to the video and audio of the deposition. Syncing testimony makes legal videos easier to use during case preparation and easier to edit when creating a presentation for the courts. At Pulone Court Reporting, our experienced court reporters offer legal videography in San Jose that allows you to supplement your written legal transcriptions with synced video feeds. A digital court video recording can be quickly accessed, edited, and shared with anyone on your legal team. We can securely store your court video recording in your firm’s online transcript repository, so that it can be accessed remotely on any authorized computer. 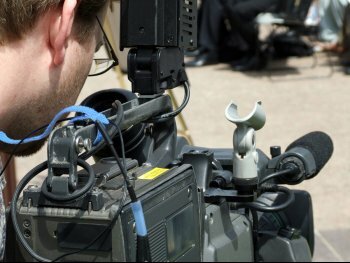 When you use our legal videography services, one of legal videography and production experts will make sure that your court video recording is synced to your legal transcription. This will allow you to organize your case more efficiently, quickly access critical information, and view your legal transcription and court video recording simultaneously. Having access to a court video recording is invaluable in the rare case that someone alleges that there is a discrepancy between what was said in a court proceeding, and what is printed in the legal transcription. It’s incredibly easy to verify the accuracy of the legal transcription by simply watching your court video recording. Even if you have never set foot in a courtroom, you’re probably familiar with the iconic image of a professional court reporter , thanks to TV shows and movies. Court reporters meet a crucial need in the legal justice system. They are the impartial recorders of every word spoken in a courtroom. 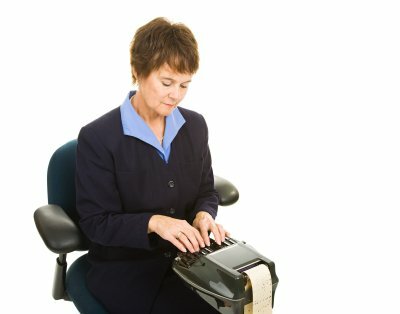 This means that court reporters in Silicon Valley produce the accurate court transcripts that could mean the difference between a defendant filing a successful appeal or serving a lengthy sentence behind bars. With so much counting on accurate legal transcripts, it’s no surprise that court reporting has gone high tech. In many courtrooms around the nation, going high tech has meant a shift toward replacing court reporters with sophisticated recording software. At first blush, this might seem to be an agreeable cost-saving measure. Yet, it’s likely doing more harm than good. Anyone who has dabbled with voice recognition software knows that “depose a witness” might be recorded as “dethroned a hit and miss” and “robbed a store” may end up being “mobbed fur ore.” Nonsensical digital interpretations of human voices could jeopardize the integrity of the criminal justice system in general and the appeals process in particular. Given the critical importance of accuracy in court reporting, it appears that transcripts produced by highly trained professionals are vastly preferable to those produced by machines. Speed is not a problem, since court reporters are well-versed in high tech solutions that allow them to capture speech at an incredibly fast rate. There are other benefits to using human court reporters to transcribe court proceedings. For example, a court reporter who has worked in the same area for a long time is likely to know details of the locale that a machine simply cannot know, such as the names of the local police officers and city streets. Additionally, human court reporters have the ability to pause court proceedings if a witness is speaking too softly. They can also distinguish between multiple voices; in heated courtroom discussions, it’s not unusual for multiple speakers to try to speak up simultaneously. All of these factors are strong arguments for the continued use of court reporters. When you are taking part in a remote deposition, how can you ensure that all parties can participate seamlessly and without any gaps in communication? As part of court reporting services, many companies provide access to technology, such as legal videography in the Bay Area to help you get the job done. Here is a closer look at remote depositions and how to make them work for you. Remote depositions allow you to easily depose witnesses no matter where they are located, without the extra expenses of travel and accommodation costs. This process lets you depose witnesses internationally who can’t travel to you or down the street, or who simply have a time conflict. While the ability to depose people remotely is convenient, it is essential for the technology to work correctly to ensure the upmost security and best user experience. The technology must also be reliable enough for your court reporter to accurately create a record of the deposition. Video streaming allows for one-way interaction during a remote deposition. 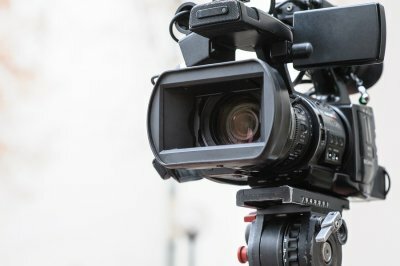 With video streaming, someone who cannot be at the deposition can view it happening in real time, but he or she cannot communicate with the participants via the video connection. Streaming is an ideal solution for someone like a partner attorney who cannot be present at the deposition but still wants to hear what is being said during the process. Video conferencing is similar to web chat applications. With a video conference room, all of the participants can communicate during the deposition simply by talking, and they can see and respond to each other in real time. The most crucial component of video conferencing during depositions is security, which is why working with your court reporters to set up appropriate video conferencing solutions for the legal industry is essential. Your court reporting company can help you find video conferencing technology that prevents hackers from infiltrating your meeting. The legal profession is increasingly relying on legal videography to supplement their transcripts. 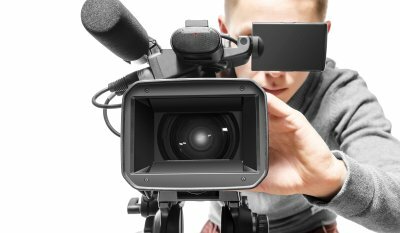 Videography can be used in depositions, trial preparation, and in the courtroom with court reporters. To maximize the benefits of legal videography in the Bay Area and Silicon Valley , hire an experienced team with expertise in creating videos for the legal profession. Videography is useful in the legal field in a number of different ways. Cueing up the video to run while reviewing court transcripts ensures pinpoint accuracy. You can also set videos up to important moments to help when preparing for court presentations. Use videography to easily organize your case, edit clips, and otherwise review witness testimony and evidence. By working with a court reporter, you can also use a video to create transcripts, critique interpreting done during depositions, and otherwise review your case. When using videography, ensure that all participants know that they are being recorded. By working with an experienced videography service, you can be confident you’re adhering to the correct legal protocols. 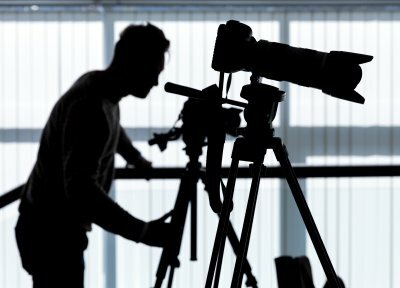 What Are the Benefits of Hiring a Professional Videographer? To create the most accurate, easily reviewable records possible for your depositions, consider pairing a court reporter with a professional videographer. By developing a record that has audio, video, and text components, you’ll never have a doubt again about what was said by a witness when you prepare your case. Using a San Jose court reporter plus a videographer makes your job easier and offers you protection by creating an indisputable deposition record. It’s important to work with a professional videographer if you want to create video transcripts for a few reasons. Quality of the video is one of the biggest benefits. Any compromise in quality will make the video harder to use as a reference. Professional editing is also important. 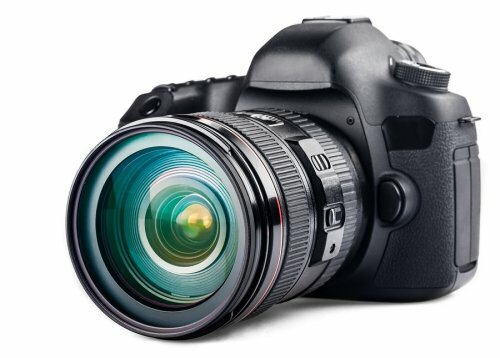 A professional videographer can ensure your audio and video are properly synced for easy reviewing. Your depositions are too important to gamble with, so invest in professional videographers and court reporters for the best possible results.